Today my blog post is all about sharing some of the BEAUTIFUL pieces I currently have listed on ebay. This week is a SERIOUS week. I have over 50 high quality pieces on offer this week. More than I am likely to have for a considerably amount of time again as I have pretty much depleted the “stocks” of clothing both Naomi and I have! 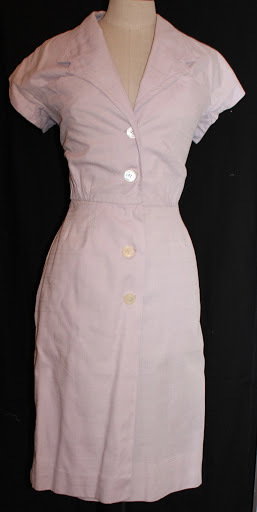 A stunning 1950s day dress with some of THE biggest patch pockets I’ve ever seen. This is such a bright and cheerful dress. 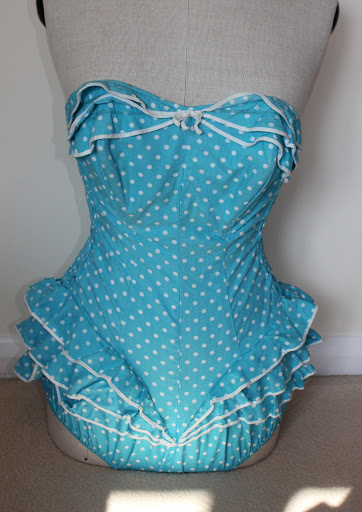 Delightful 50s swimsuit (just look at the darling puffy bits to the sides). This is PURE pin up. Sigh. One of the best floral dresses from my collection. 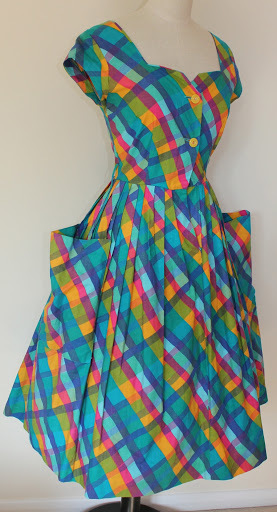 This 50s number by Ladycourt is the current image for my facebook header on the Advantage-In-Vintage page. 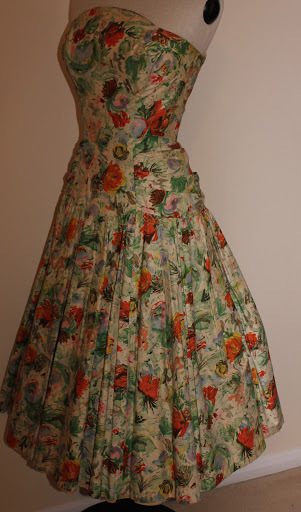 It has one of THE fullest skirts of any 50s dress in my collection. 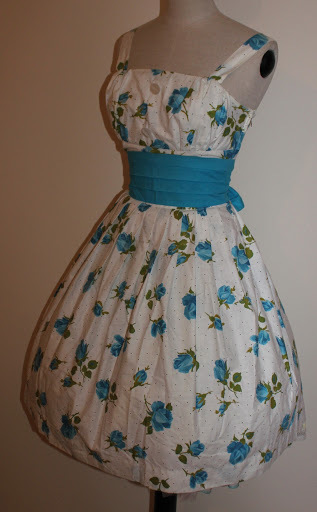 Another of mine This 50s blue floral dress comes with both its original belt AND jacket. A rare late 50s Horrockses dress. This number is in linen. Quite different for a Horrockses! This luxury cc41 coat has a beautiful bakelite buckle and some of the most delightful construction techniques I’ve seen in a while. This WONDERFUL early Biba ensemble. It comprises of high waisted REALLY flared trousers and a top with huge angel like sleeves. A really difficult ensemble to photograph but it really is an example of Biba at its best. AND, I’ve save the best till last. This amazing Celia Birtwell print Ossie Clark for Radley dress. The dress is (I believe) one of Celia’s tartan heart prints. The bouqet style of the print is one she started using in around 1972. And, the satiny details were very popular in this year too hence why I am guessing this year! LOVE the first dress and the swimsuit! ❤ Those are good finds! Wow! You have an amazing eye! I can never find anything half decent (and affordable) on Ebay!